JOIN INDIAN COAST GUARD AS AN ASSISTANT COMMANDANT IN General Duty, General Duty (Pilot) AND Commercial Pilot License (SSA) BRANCH. The Indian Coast Guard, an Armed Force of the Union, offers a challenging career to young and dynamic Indian male candidates for various branches as an Assistant Commandant(Group ‘A’ Gazetted Officer). Date of closing of online application: 30 Nov 2018 upto 1700 Hrs. Admit card will be available for print from 09 Dec 2018 onwards. EXCELLENT OPPORTUNITY FOR MEN TO BECOME OFFICER IN INDIAN COAST GUARD – 02/2019 BATCH. Note. (i) The upper age limit of OBC/SC & ST is relaxable as per Govt. of India rules in vogue. (ii) Maximum 5% relaxation in aggregate in the degree certificate for SC/ST candidates, NCC ‘C’ (A grade) holders, Sports person of National level (Inter State & above) and wards of Coast Guard uniform personnel deceased while in service. (iii) Coast Guard reserves the right to fix the cut off percentage for issue of PSB call up letters. (iv) Candidates who have not completed their Law Degree (i.e. appearing candidates) need not apply, their application will not be accepted. (a) Candidates withdrawn on disciplinary grounds from any other service training academy are not eligible to appear. (b) Candidates should not have been arrested, convicted or prosecuted on criminal charges. (c) Only candidates cleared their final year/ final semester exams and completed their degrees are to apply. * Short Service Appointment (SSA) – Short Service Appointment as Assistant Commandant is for a period of 08 years which may be extended to 10 years and further extendable up to 14 years. * Candidates applying for General Duty Entry Scheme (Male only) will be considered for Pilot Navigator on successful completion of basic training at INA Ezhimala. (a) Short Listing of Applications. Short listing criteria will be based on higher percentage of marks in the qualifying examination and the qualifying cut off for a particular branch or centre may be increased more than 60% if more applications with higher % are received. (b) Preliminary Selection. 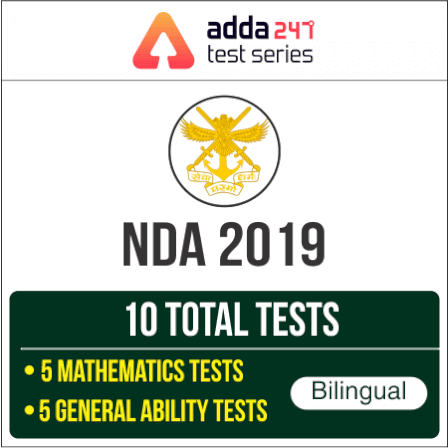 Shortlisted candidates will be called for Preliminary Selection at given date and time which will consist of Mental Ability Test/ Cognitive Aptitude Test and Picture Perception & Discussion Test (PP&DT). The aptitude tests will be in English only and will be of objective type. During PP&DT the candidates are expected to speak and discuss in English. However, they are free to speak in Hindi if they wish to do so. Date/ time and venue of Preliminary Selection once allotted will not be changed at any stage. (aa) Candidates who have completed their Degree in 2017/2018 should be in possession of Original/Provisional Degree issued by the College/University. Candidates completed their Degree before 2017 must be in possession of Original Degree issued by the University, if not, the candidate must be in a possession of "Non-issuance of Degree Certificate" issued/signed from the concerned University only (format available in www.joinindiancoastguard.gov.in). No candidates will be permitted to appear in PSB without above documents in Original. (ab) The CGPA should be corroborated with 60% of the total marks as issued from the University. (ac) No amendment/correction will be allowed pertaining to any data post submission of online application forms later on either during PSB or FSB. (ad) All eligible candidates will undergo Biometric profiling. (ae) Appearing candidates or candidates not cleared final semester exam or awaiting for result are not eligible to apply 02/2019 batch.